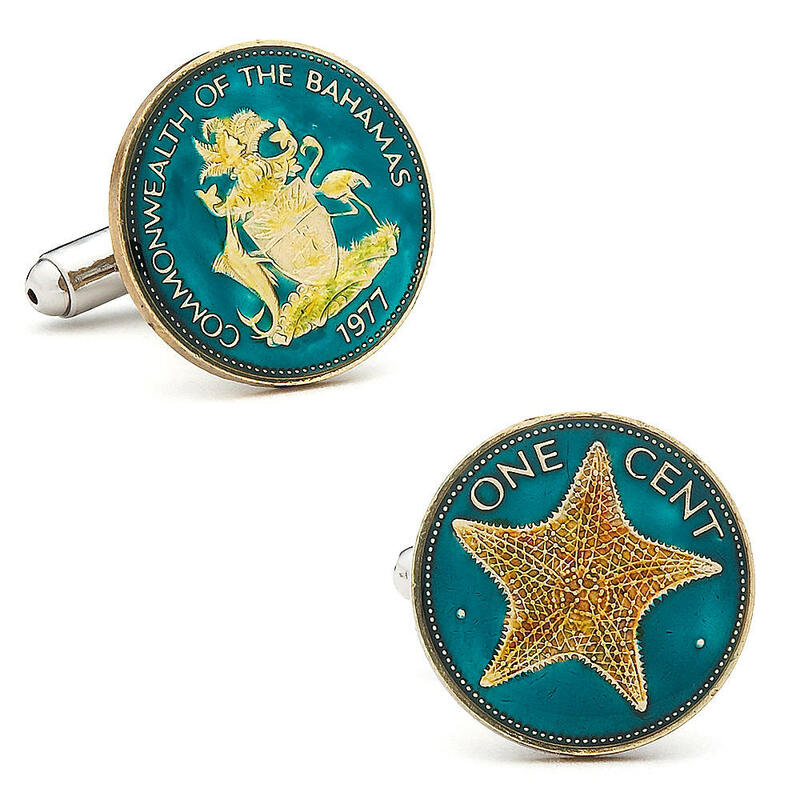 Don't miss---Our Hand Enameled Coin Cufflinks----unique and fun---authentic ! These Cufflinks are made using authentic Roman bronze coins that were minted circa 337-361 AD during the reign of Constantius II. He was the son of Constantine the Great. 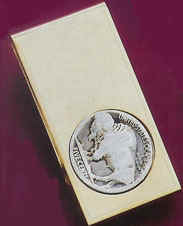 The coins are mounted on silver plated backs and come packaged in an antique box. They are about the size of a penny. Please note that there may be slight variances in the coins due to their age. Very Limited---each one unique. Any differences are considered "part of the charm". These Cufflinks are made using authentic copper coins, also known as duits, which were minted by the Dutch East Indies Company from 1726-1723. The Company's Dutch name was VOC, which is on the front side of the coin. During its day, it was the largest private company in the world with 50,000 employees and the first company to issue stock. 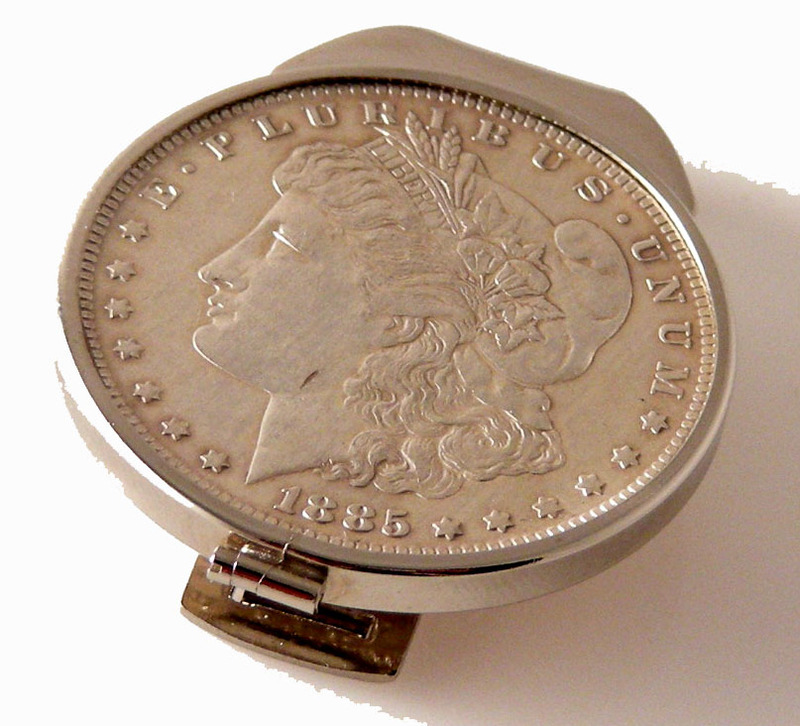 The coins are mounted on silver plated backs and come packaged in an antique box. Please note that there may be slight variances in the coins due to their age. 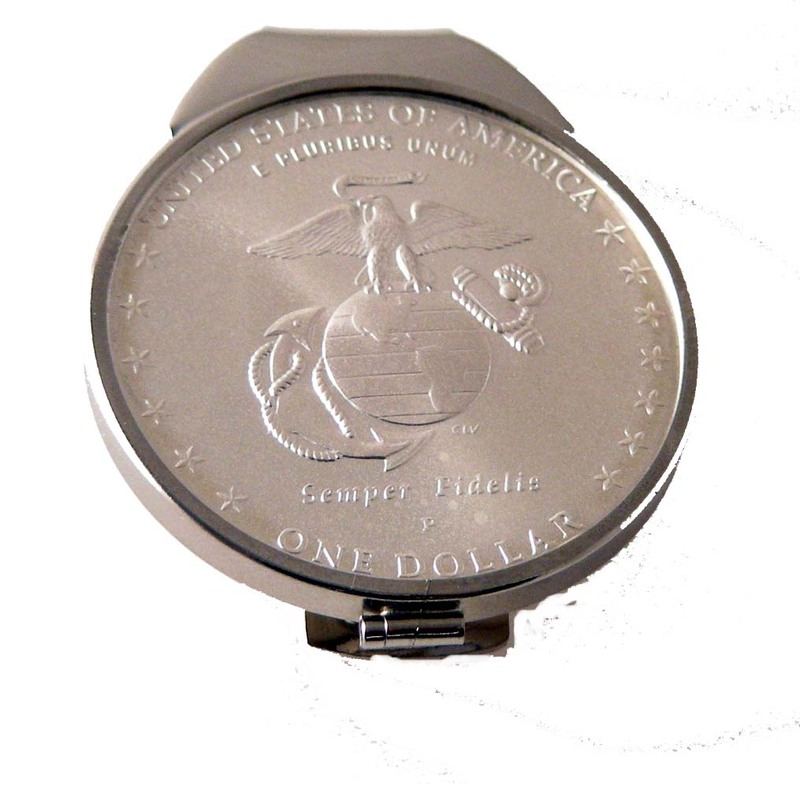 The coins are slightly larger than a nickel.Please note that there may be slight variances in the coins due to their age. Very Limited---each one unique. Any differences are considered "part of the charm". 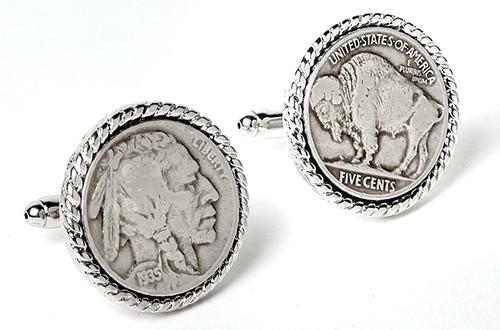 These Cufflinks are made using authentic silver Spanish Reals that were recovered from the Spanish war ship El Cazador It sunk off of the coast of Louisiana on its way from Galveston to New Orleans in 1784. 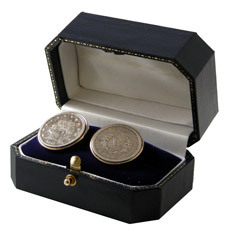 The coins are mounted on silver plated backs and come packaged in an antique box. They are about the size of a nickel. Please note that their may be slight variations in the coins due to their age. Very Limited---each one unique. Any differences are considered "part of the charm". Finest Collection of Authentic Certificates ! 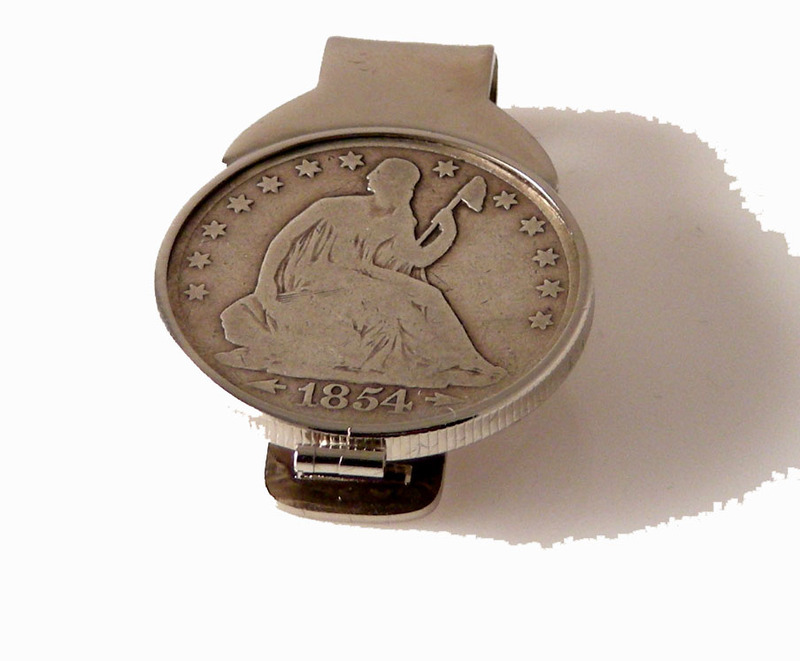 These cufflinks are made from authentic 1864 $10 Confederate Notes. 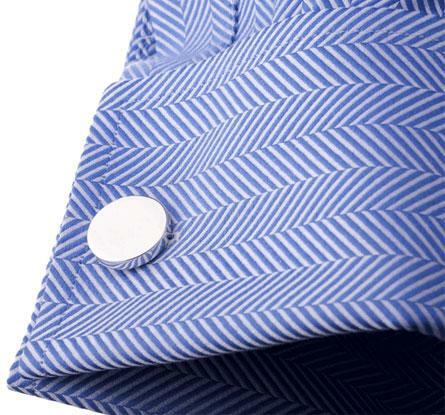 The cufflinks are covered in a clear, hard epoxy and mounted on silver plated backs. Please note that serial numbers & images will vary. Those shown only a representation. They come packaged in an antique box. 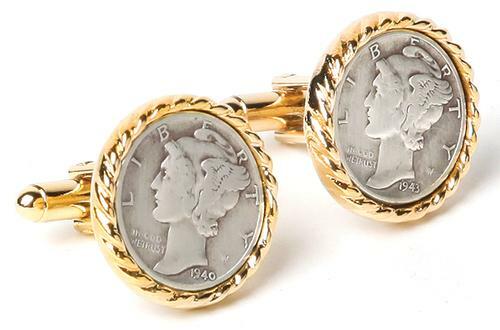 These cufflinks are made using an authentic $2 "red seal" U.S. note that was issued by the Treasury between 1928-1963. They are no longer in circulation. 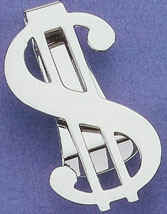 The cufflinks are covered in a clear, hard epoxy and mounted on silver plated backs. They come packaged in an antique box. Please note that serial numbers & images will vary. 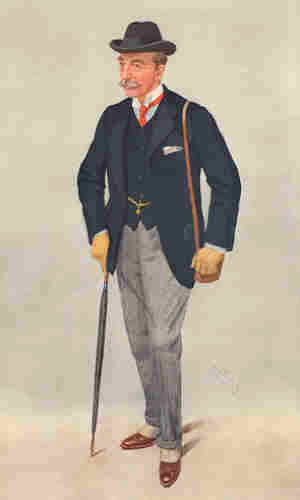 Those shown only a representation. 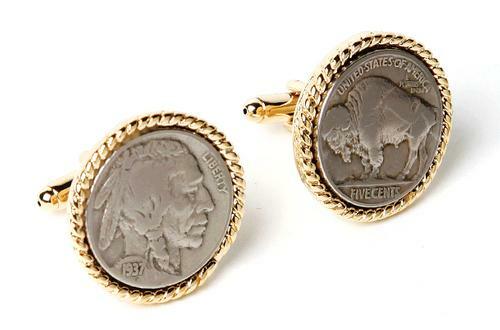 These cufflinks are made using an authentic vintage stock certificate. 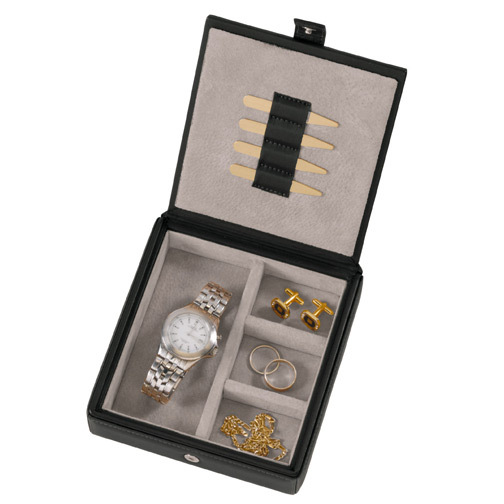 The cufflinks have a silver plated back and come packaged in an antique box. 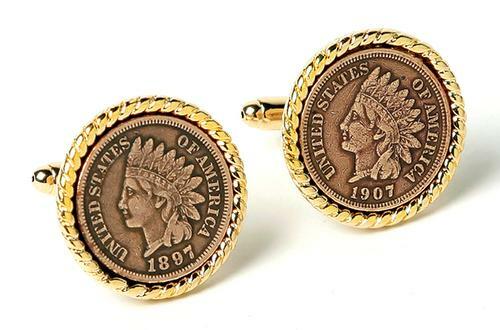 The cufflinks come with a certificate detailing date of issue and company. 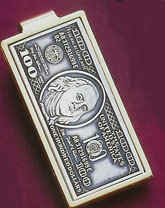 Great gift for any stock-broker and financial planner. 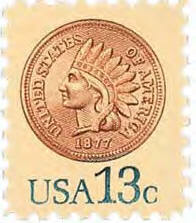 Please note that serial numbers & images will vary. Those shown only a representation. Our Finest Collection of Coins ! Special Order ! Each painted by hand...allow 10 days+ for delivery. Very Limited. Please note ! 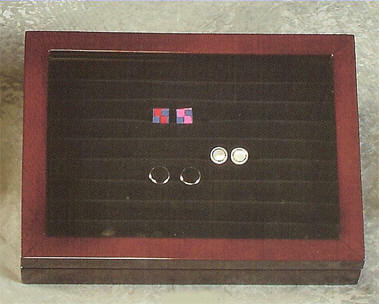 Each coin is hand-painted. Any differences are considered "part of the charm". No two exactly alike....including pairs.